This is a dreamy world of mid summer night. I started to explore more possibility for myself, to find different topics, different styles, different elements to challenge myself. And I am really obsessed with the worlds I tried to build. This piece of illustration was inspired by the fireworks on July 4th, the moon was clear and the winds settled down, just in time the rockets light up the night sky. Nothing could make you feel happier but to finish your art. Prints Available Here. 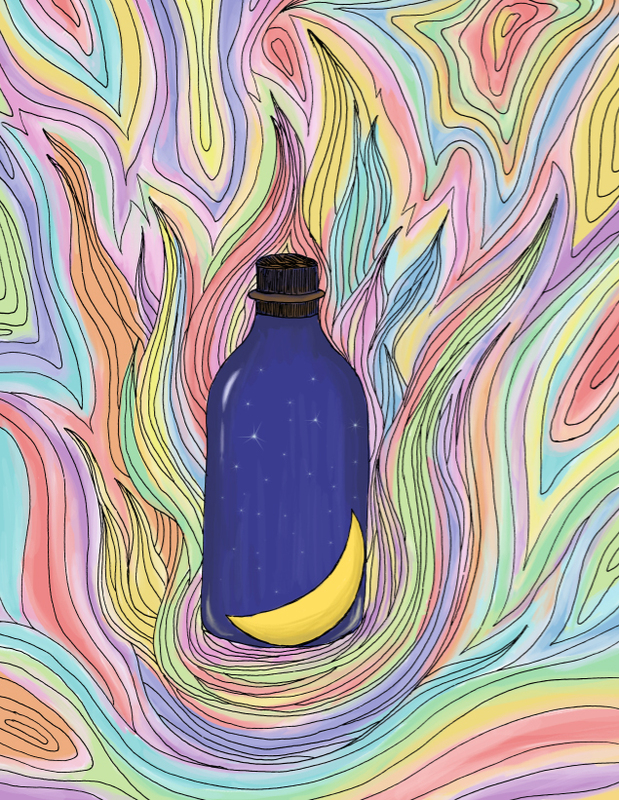 Jul7July 7, 2014 • By Helen H. Wu • This entry was posted in Illustration and tagged archival quality prints, Artwork for sale, Colorful, dreamy world, Etsy, Fireworks, Helen H. Wu, Home Decor, Illustration, imagination, July 4th, mid summer night, Night, On Fire, painting, summer. Bookmark the permalink.